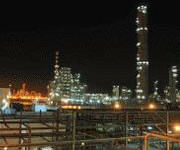 Saudi Arabia�s Petrochemical Industrial (NatPet) has forged a joint venture deal with US firm A. Schulman to produce PP compounds near NatPet�s PP manufacturing complex at Yanbu with a capacity of 100,000 tonnes/year. To be built in two phases, the first phase will cost US$70.9 million of which 40% of it will be funded through equity while the remainder through debt from sources including the Saudi Industrial Development Fund as well as other local banks. Through this 50:50 joint venture both companies will be able to serve a broad range of customers globally and capitalise on growing demand for durable goods such as appliances and automotives in the Middle East, Africa and India. In addition to the joint venture, NatPet also entered into a distribution agreement under which Schulman will distribute resins for NatPet in Europe to specified customer segments. NatPet�s manufacturing complex is designed to produce 400,000 tonnes/year.